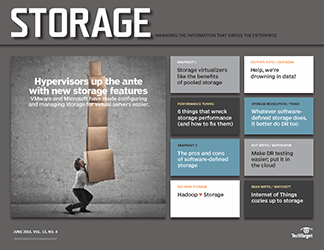 Storage vendors today recognize the unique challenges with provisioning storage while delivering performance that virtualizing servers puts on storage systems. And that means administrators no longer need to stick with a traditional SAN or NAS to satisfy those requirements. 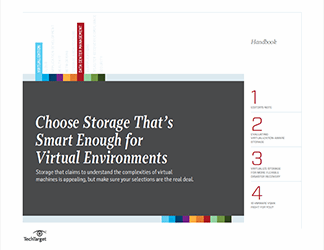 Technologies such as VM-aware storage and converged infrastructures are examples of storage for virtual environments today that make integration and performance less problematic for administrators. 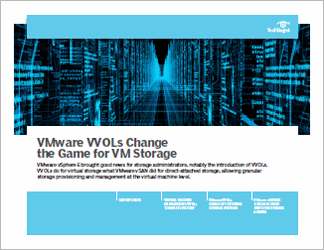 And VVOLs can turn legacy storage arrays into VM-aware systems. 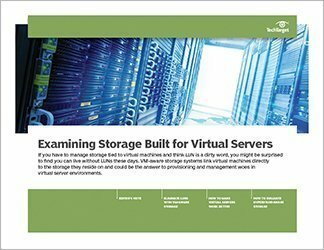 VM-aware storage places a hypervisor integration software layer on top of a conventional storage array, integrating the storage with the underlying virtualization platform. As with hyper-converged systems, the hardware vendor must support the hypervisor you are using. 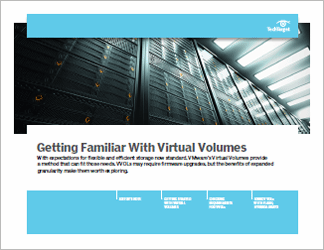 Hyper-converged systems are specifically designed for use with virtual servers. All the major components -- CPU, storage, network and so on -- are certified to work with one another and to be compatible with the hypervisor vendor's software. The storage is preconfigured to provide optimal performance. VVOLs were added to the vSphere 6. They allow for provisioning storage and for data to be managed at the virtual machine level, but they require support from hardware array vendors.